The perfect gift for your favorite Christmas lover, it will brighten up their mood every time they use it. BUY MORE,SAVE MOVE. 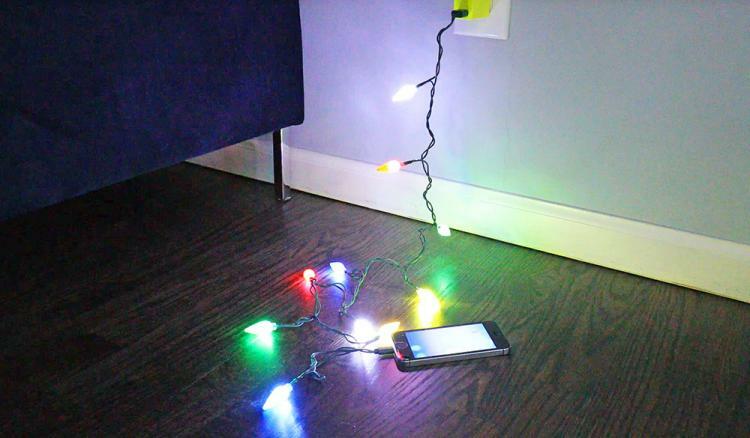 Get Lit - The Christmas lights phone charging cable is currently only available as charger for your Phone. The Christmas lights charging cable uses a standard USB connection so you'll have to provide your own wall adapter if you'd like to power it using a wall socket, otherwise you can plug it into your laptop to charge up. The festive cable comes with 10 multi-colored LED lights, weighs just 1.5 oz, and measures 3.8 feet long.